Artech Realtors has now come up with an interesting range of luxurious residential properties in the Akshara Nagari of Kerala. Recce through the premium amenities and features of the apartment project located in Kottayam. This small city is centrally located in Kerala and was earlier known as a center of literature by virtue of the fact that many of the Malayalam newspapers were headquartered here; hence it was known as ‘Akshara Nagari’ or ‘Land of Letters’. The advent of the British Raj had brought in a lot of Christian missionaries along with setting up of many churches as well as educational institutions in and around the city. 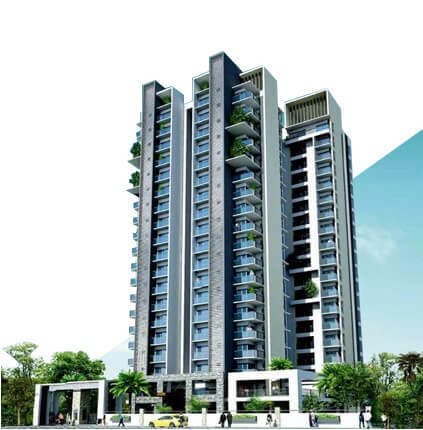 Adding to the potentials of this city, Artech Realtors have set up a high-end luxury project – ‘Artech Rio’, which offers the city’s residents their first real taste of luxurious living vertically. With the choice of 2BHk and 3BHK, living in these apartments in Kottayam would mean enjoying lifelong panoramic views of the beautifully meandering Meenachal River and the birds and greenery that surround it. Owning an apartment in Artech Rio also means that you get to enjoy awesome amenities like a swimming pool, an AV room for your own viewing pleasure, a fully air-conditioned health club, a banquet hall, an indoor gaming room, a children’s play area, etc. Having an address like the Artech Rio would be every neighbor’s envy, so don’t delay, book your apartment while there are still some remaining!